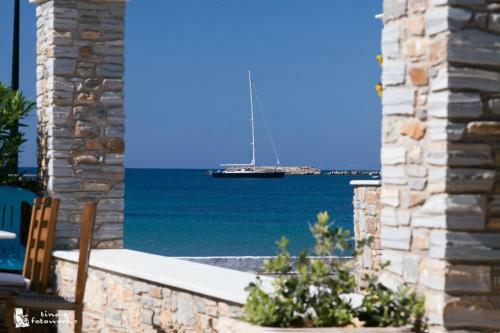 The 2-star Hotel Olympia is located next to the beach in Finikas, Syros. Hotel Olympia offers to its guests garden, restaurant, tennis court	and bar. The property offers family room and other might be available upon request. The rooms provide view. Amenities of the rooms include a/c, heating, fridge and more. Each unit has own bathroom with hairdryer. Free WiFi is available but is limited to some parts of the hotel. Fields with * are required. The enquiry is sent directly to Hotel Olympia.